You could read about Usable productivity skills for New Freelancers here before going through this post. Freelancing is completely different than having a regular job. The reason because why freelancing is different is, you are responsible for your work and you decides your own work schedule and productivity. And, working as a freelancer is actually as not easy as normal employment. Freelancers, especially new freelancers need t work harder and smarter. Because, you are marketing yourself. You have to sort emails, do conversations and make new clients and pay attention to their interests. Seoclerks mainly focusing on SEO related micro jobs. And is one of the most leading marketplace for both freelancers and persons who needs to outsource their works with affordable price. You could read complete review and how it works guide from the following links. PS: Sajith now giveaways $5 free SEOclerks coupons for new members. Contact for details. Freelancer is another leading market place. 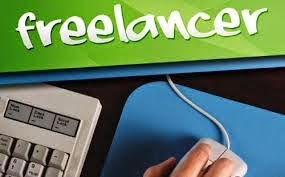 While Seoclerks mainly focusing on SEO related job, Freelancer is a general marketplace. We can list out our skills and they will give matching proposals from persons and companies. Bid on that proposal and will be get paid after the completion of project. Olx and Quikr are somewhat different. It is a market place where their control on buyers and sellers is not strong like others. This is because, Olx and Quikr are actually market for used items. But we could use it for freelancing also bu posting services as ads. You can post ads on Olx and Quikr about your service and interested people will contact you. Olx may not be responsible for any loss and not take any commission from your money. If any of freelancing website is missing here in your knowledge, Feel free to share it using our comment box.